If you’re like most students, you eagerly anticipate graduation. 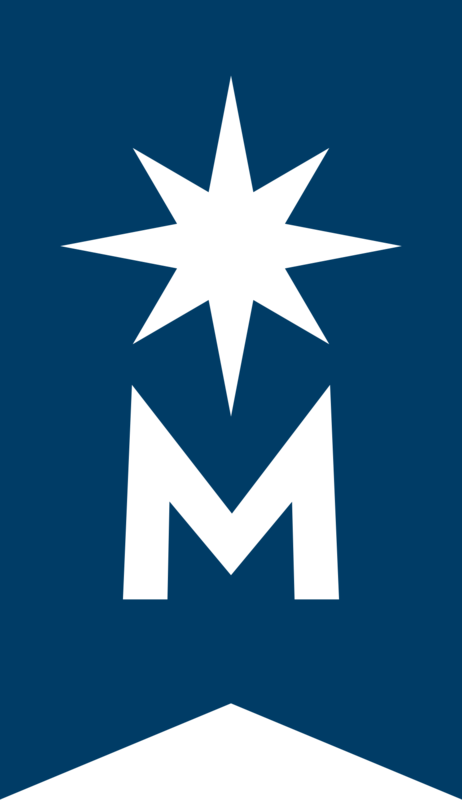 The Minnesota Office of Higher Education (MOHE) estimated that roughly 450,000 Minnesotans are currently enrolled in college and looking forward to their graduation day. However, after the party hats are set aside, and there are no more finals to cram for, the challenge of finding a job will consume as much or more of your time as studying once did. Thanks to a new tool provided by the Minnesota Department of Employment and Economic Development (DEED), you are now able to find out where graduates got jobs for every major educational program offered in Minnesota. This is a way for you to see how your degree or credentials match employer demand. DEED’s Graduate Employment Outcomes (GEO) tool shows the number of recent graduates from Minnesota schools who found jobs in Minnesota one and two years after graduation. It also shows the median wages earned, and the top industries where these graduates went to work. 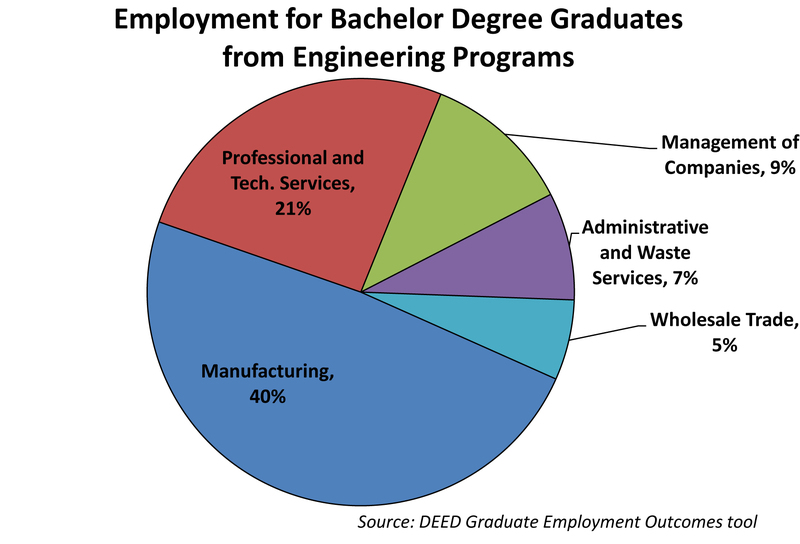 For example, the chart above shows the top 5 employing industries for graduates with bachelor’s degrees in engineering. The tool only shows data for programs with at least 10 graduates with valid wage data. You can search by year, location, award type, institution type, and instructional program. The data is updated annually. What do the tool’s results tell me? Using the example in the chart above, you see that graduates with bachelor’s degrees in engineering earned a median wage of $26.06 per hour within 12 months after graduation. They then bumped up to $28.90 per hour 24 months after graduation. You can use the GEO tool to find out what graduates from other programs were paid. Who else can benefit from the GEO tool? Policy makers — to identify potential under-supply or over-supply of skilled labor in strategic sectors of the economy. Or to evaluate the state’s returns on investments in higher education. Looking at the GEO tool before you start a college or job training program can help you know which programs lead to good-paying jobs. Using the tool after graduation help you expand your job search to find which industries that hire students like you. You might find employers in unexpected industries. It’s great to go to school to study something you are passionate about. But knowing if you can pay the bills after graduation is even better. Check out the GEO tool here: http://mn.gov/deed/data/data-tools/graduate-employment-outcomes.